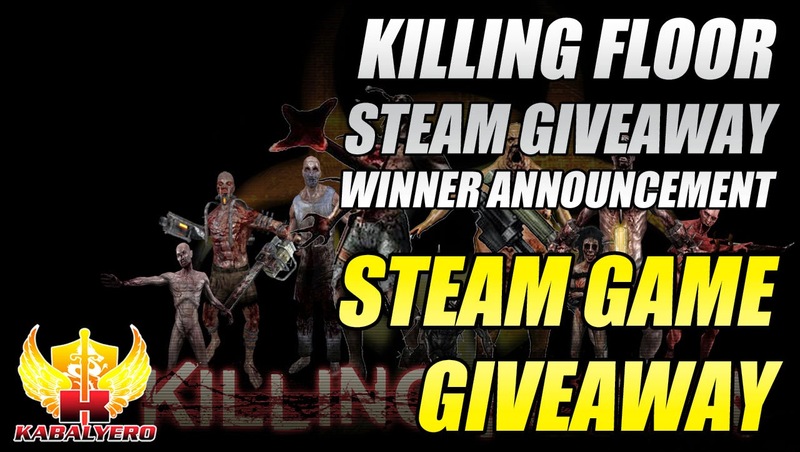 Killing Floor STEAM Giveaway, Winner Announcement - KABALYERO - PLAY, BLOG & EARN! After a few days of accepting entries via Gleam, the Killing Floor STEAM Giveaway got a total of 77 entries. 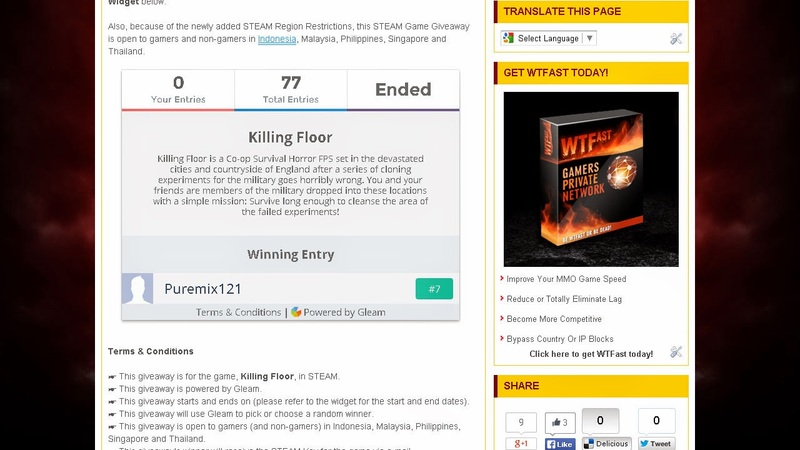 From those 77 entries, one entry was chosen as the winner via Gleam and that lucky entry was made by Puremix121. I've already contacted Puremix121, verified his STEAM e-mail address and sent the prize to him via e-mail. So, congratulations to Puremix121 for winning a copy of Killing Floor and thank you to everyone who participated in this giveaway. Don't worry if you didn't win because more giveaways are coming. Also, if you wish to run your own giveaway then I suggest you give Gleam a try. I used Gleam's giveaway tool to run this particular giveaway and you can learn more about it at http://bit.ly/1ImfVwR.